As a young wannabe film maker (or nerd as it’s more commonly referred to) in the early 90s, I used to love grabbing the family camcorder and knocking up some quality Hollywood remakes. My greatest hits included remakes of Jurassic Park, Ghostbusters and the criminally underrated original production “That Army Bloke II”. I’m still waiting for an offer for the screenplay for that one. Me and my sister had to be pretty creative with our movies as special effects were limited to fade to white and macro. 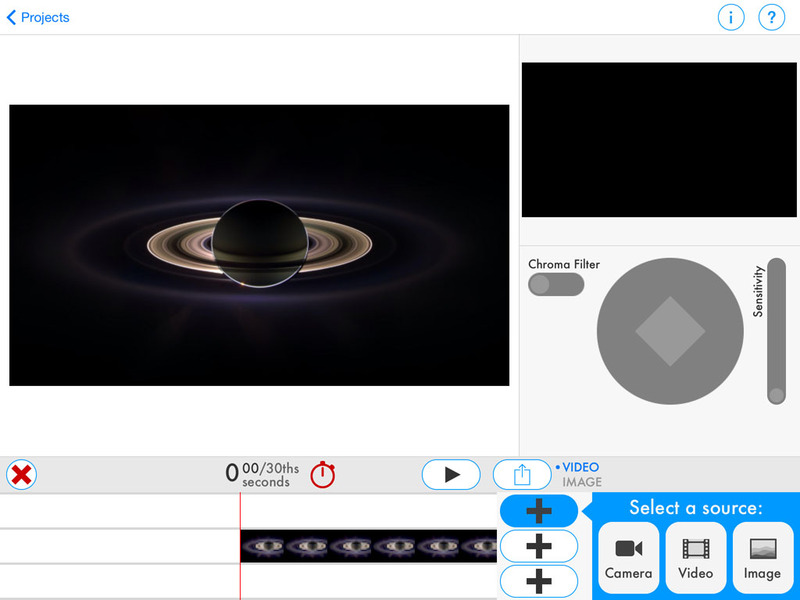 Nowadays with the iPad, the world is your digital celluloid oyster and Do Ink’s excellent Green Screen app is a fantastic addition to the amateur film maker’s armoury. The cool thing that Do Ink have done with Green Screen is they have made green screening super easy to do. In the past I have used Green Screen Movie FX Studio by EPOCFIELD. This is a great app in terms of features as it also supplies FX like explosions and walking dinosaurs, but the actual green screening part is a little fiddley. 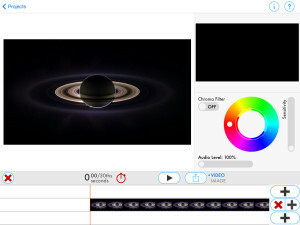 Do Ink keeps it simple by offering three video layers (the top should be the green screen film) and subsequent layers being the background. 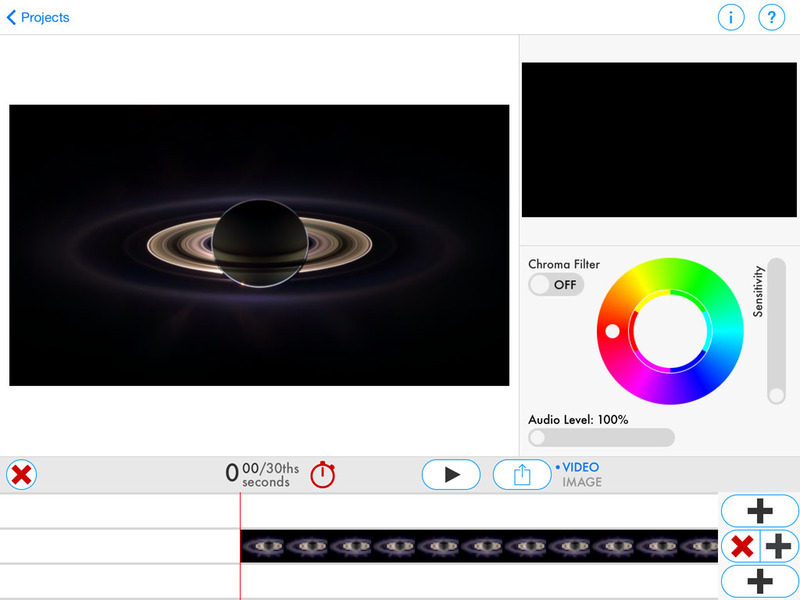 From here you can use a slider to adjust the colour to match the green screen and the sensitivity of that colour. It’s that simple and the results are excellent. I filmed my test footage, an avant-garde little film called “Fans in Space” in front of a green painted wall. The wall in question only had one layer of green paint so wasn’t evenly covered, yet Green Screen managed to pick out the colours for chroma keying and the results were pretty good for something knocked up in about 2 minutes. It’s worth noting that you can use any colour to film against, but green seems to be the one that produces best results. There are not too many more bells and whistles on this app, but to be honest, it doesn’t need it. 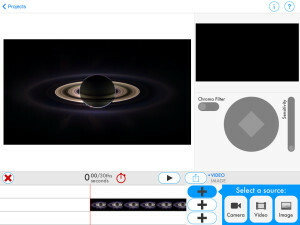 If you wanted to do anything extra you could export your movie to iMovie, or similar, and edit sections of it there. Export options wise, you can export up to 720p HD, which is certainly very respectable and I’m sure decent enough for most iPad film makers. 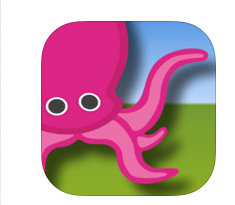 With my teacher hat on, I could see this app being particularly useful in the classroom because of the fact that it is uncluttered and sticks to what it does best – green screening. Thinking back to the old analogue days, it really is amazing to see what a device like the iPad has done for film making. I’m not for one second suggesting that any serious film maker would use it for anything remotely professional, but for those of us who like to dabble in film making with our kids (or using them as an excuse to recreate The Empire Strikes Back with my old Star Wars toys) on a wet Sunday afternoon, then apps like this make the whole process much more creative and interesting. Disclosure: I was given a promo code for this app.